Movies are such an important part of the culture that it's no surprise that quotes from classics and newer films become time-tested cultural references. A single quote can trigger strong memories, from seeing a favorite picture for the first time to details about who you were with and what you were doing the first time you heard it. Movie quotes play an important role in day-to-day life, often serving as a bonding point for people with shared interests or similar taste in entertainment. 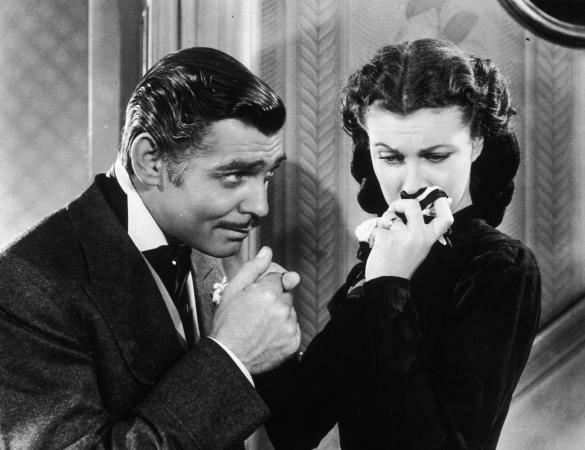 "Frankly, my dear, I don't give a damn" - This memorable line comes from Gone with the Wind. "Here's looking at you, kid" - This quote from 1942 comes from Humphrey Bogart to Ingrid Bergman in the classic dramatic love story Casablanca. "There's no place like home" - Who could forget this timeless quote from Dorothy (Judy Garland) in The Wizard of Oz? "The name's Bond. James Bond." - Perhaps the most recognizable quote in movie history, this famous quotation has become synonymous with the James Bond movies, from the very first film to present day. "Badges? We ain't got no badges. We don't need no badges. I don't have to show you any stinking badges!" - This popular quote comes from The Treasure of the Sierra Madre. "Made it, Ma….Top of the world!" - James Cagney immortalized this line in the 1949 classic White Heat. "I'm sorry, Dave. I'm afraid I can't do that." - Stanley Kubrick illustrated what might happen if computers turned on humans in the 1968 classic 2001: A Space Odyssey. "Go ahead, make my day." 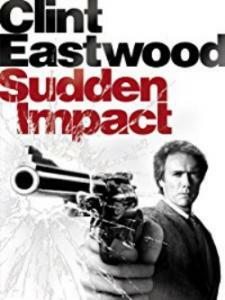 - Sudden Impact made this Clint Eastwood line a pop culture phenomenon. "At my signal, unleash hell." - In Gladiator, Russell Crowe's character Maximus used this line to lead his troops into battle. "I love the smell of Napalm in the morning. Smells like victory." - This popular quote comes from Apocalypse Now. "Is the building on fire?" - As John McClane in the first Die Hard movie, Bruce Willis makes this inquiry after blowing up a building. "I am Iron Man." - This quote, as declared by Robert Downey, Jr. makes the perfect closing line for the first movie in the Iron Man franchise. "Your brother never told you never to threaten a man's family? That's a stupid thing to do." - Vin Diesel's popular character Dominic Toretto said this to bad guy Owen Shaw in Fast & Furious 6. "I feel the need...the need for speed!" - Maverick (Tom Cruise) and Goose (Anthony Edwards) share this highly recognized line from Top Gun. "Hey, c'mon. We're superheroes. What could happen?" - Action films don't have to be live action. Just ask Elastigirl, who uttered this line in The Incredibles. "You talking to me?" 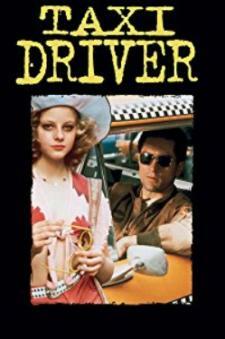 - This memorable line from Tribeca Film Festival co-creator Robert De Niro in Taxi Driver is perhaps his most recognizable quote. "Momma always said life was like a box of chocolates. You never know what you're gonna get." - This line comes from Tom Hanks' Oscar winning performance in Forrest Gump. "Run, Forrest, run!" - This is another popular and widely recognized line from Forrest Gump. "You can't handle the truth!" - This line, screamed by Jack Nicholson at Tom Cruise during A Few Good Men, was one of the most dramatic scenes in the film. "Houston, we have a problem." - This widely quoted line from Apollo 13 illustrates just how closely art can imitate life in dramas based on real events. "I'm gonna make him an offer he can't refuse." - This line comes from The Godfather. "Say hello to my little friend." - This popular quote comes from the legendary Al Pacino during the climax of his masterful performance in Scarface. "Yeah, baby, yeah!" - Mike Myers made Austin Powers come alive with funny movie quotes like this one. "I'm very discreet, but I will haunt your dreams." - Jane Lynch's somewhat aggressive and absolutely hilarious character propositions Steve Carell's lovable Andy with this line in The 40-Year-Old Virgin. "It's only a flesh wound." 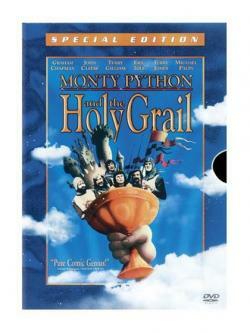 - This line is especially hilarious when paired with the movie's visuals, from Monty Python and the Holy Grail. 'Everyone just relax, all right? Believe me, if there's one thing Ron Burgundy knows, it's women." - Will Farrell makes this perhaps misguided declaration in Anchorman. "Why are you peppering the steak? You don't know if tigers like pepper." - Ed Helms' character Stu makes this inquiry of Allen, played by Zach Galifianakis, in The Hangover. "Au revoir, gopher." - Bill Murray delivered this line in Caddyshack, just before he goes a little overboard trying to rid the golf course of gophers. "You know, it occurs to me that the best way you hurt rich people is by turning them into poor people." - This funny yet insightful line from the hilarious Eddie Murphy sets the tone for Trading Places. "I love you. You're my only reason to stay alive ... if that's what I am." - Robert Pattinson's Edward made this romantic declaration to Kristen Stewart's Bella in The Twilight Saga: New Moon. "And I'm going to be 40." " When?" "Someday." 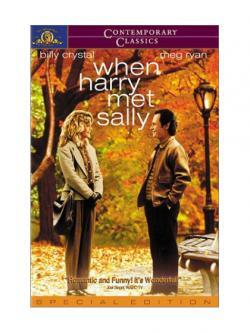 - Meg Ryan and Billy Crystal ("When?" was his line) enjoyed this memorable exchange in When Harry Met Sally. "You complete me." - This memorable quote is from the movie Jerry Maguire, illustrating the love story with wonderful on-screen chemistry between Tom Cruise and Renee Zellweger. "You had me at hello" - Renee Zellweger uttered this touching quote expressing her love for Tom Cruise's character in Jerry Maguire. "Listen to me, mister. You're my knight in shining armor. Don't forget it." - Katharine Hepburn shared this expression of eternal love with Henry Fonda in On Golden Pond. "Love means never having to say you're sorry. "- Ali MacGraw's Jennifer expresses this simple declaration of devotion to Ryan O'Neal's Oliver in Love Story. "I'm now poor. When I say I'm poor, I mean we may have to share a helicopter with another family." - Hugh Grant's character George Wade says this to Sandra Bullock's Lucy Kelson when declaring his love (and possible loss of wealth) at the end of Two Weeks Notice. "May the force be with you." - This popular Stars Wars quote has become a staple of movie pop culture. "I am your father." 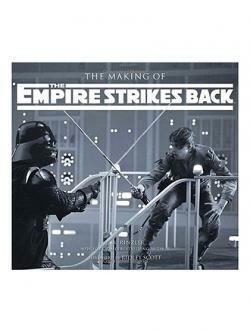 - Darth Vader makes this (shocking?) revelation to Luke in The Empire Strikes Back. "E.T. phone home." - This memorable line comes from the title character in the Steven Spielberg classic movie E.T. "I'll be back." - This infamous line from The Terminator is perhaps the most recognizable quote from Arnold Schwarzenegger. "Hasta la vista, baby." - Arnold Schwarzenegger shared this memorable line in Terminator 2. "Are you telling me you built a time machine out of a DeLorean?" - This incredulous line from Back to the Future was delivered as only Michael J. Fox can. "You shall not pass." - This simple yet meaningful statement is uttered by Gandalf in The Lord of the Rings: The Fellowship of the Ring. The sayings you love best are dictated by a variety of factors, from the types of movies you enjoy to the part of the world you live in and more. What holds true at a universal level is that movies play a role in the shared experiences that define a culture. They give us a context that can be used to convey complex meaning, as well as reinforce just how central the film industry is to society as a whole. Plus, using them can be a great deal of fun!